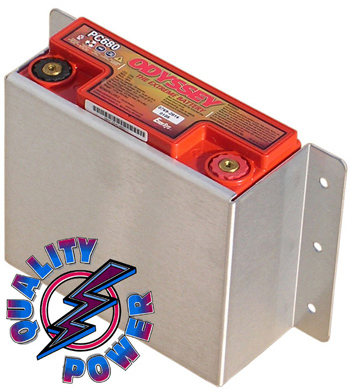 These stamped aluminum fixtures fits securely around the Odyssey PC534, PC545 or PC680 battery and can be used to mount the it both vertically and horizontally. This will allow you to get the battery positioned in out of the way locations such as under a seat, to a frame rail, or on the firewall. Battery not included.